« Older: Who will be moving on to the third round of the Five-a-side Football Tournament? On Tuesday, August 4th a large crowd gathered at the Philip Goldson International Airport to welcome the Belize delegation returning from the 2015 Special Olympics. Held in Los Angeles, California, USA from Saturday, July 25th to Sunday, August 2nd, the event saw 6,500 special needs athletes from 165 nations competing in 25 Olympic-type sports. 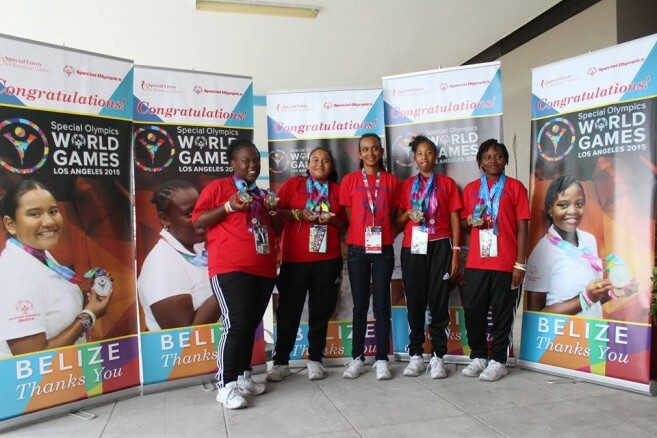 After representing their country proudly, the Belize delegation did not return empty handed as they had captured silver medals in Unified Bocce and Bocce Doubles. 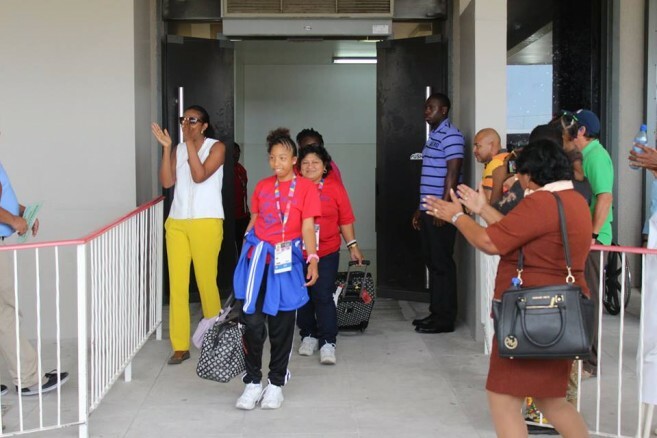 Head of the Belize delegation and National Director for the Special Olympics in Belize, Elodia Bautista explained that the four athletes had been practicing for the past nine months and were excited when they placed in their discipline. “It was a first time experience for them, they had no knowledge of what to expect or what to do. When they got there they were surprised at the hospitality of our Belizean community in Los Angeles and of the host village that hosted us for the first few days,” said Bautista. 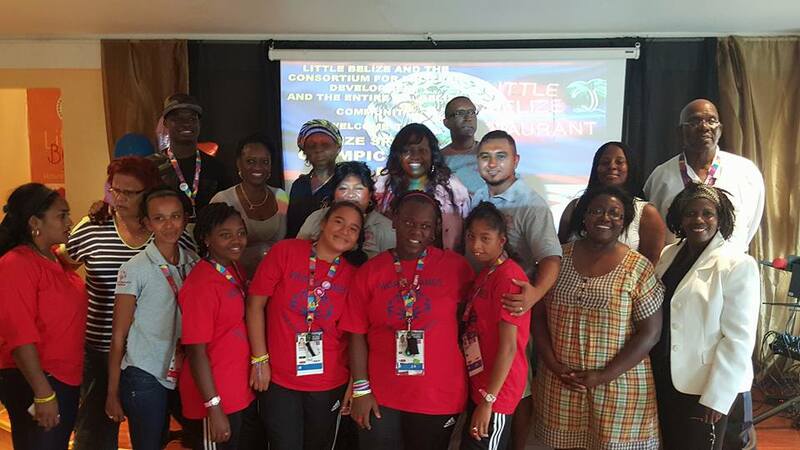 The athletes representing Belize were Jasmine Flores, Ilda Romero, Ana Emmanuel and Jayna Locke, all students from Holy Ghost Primary School in Dangriga. The delegation participated in the discipline called Bocce, which is an Italian sport whereby a small ball is thrown in the center of the frame and then another ball which weighs about three pounds is thrown to reach the smaller ball. “The objective of the game is for the second ball to reach as close as possible to the first ball. We did this sport because it is easy, not only that, but it provides for different disabilities to be able to play. Children in wheelchairs can play, children with cerebral palsy can play the game and so then they are able to participate and show their ability in sports,” explained Bautista. 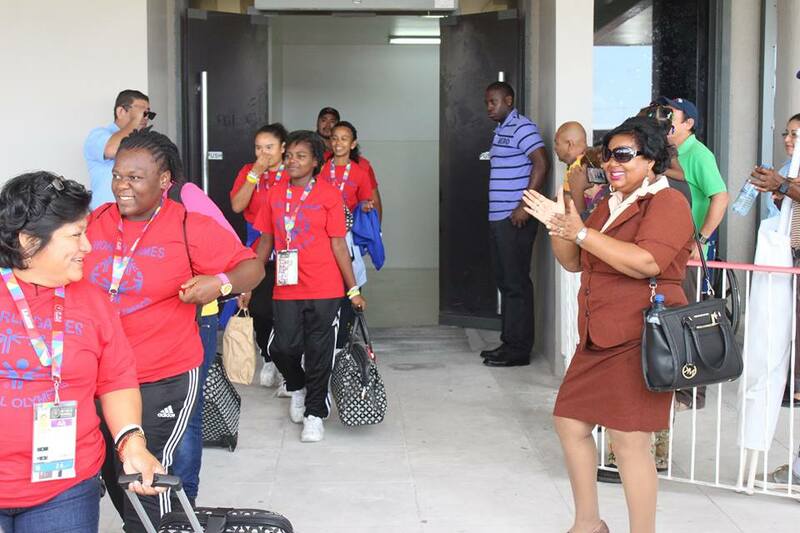 She indicated that this win has certainly boosted the self-esteem and enthusiasm of the athletes. Bautista also explained bocce will now be a sport encouraged to be played by other athletes. “We want to expand the bocce to include other children in the regular school because all of them can participate. We want to expand to our districts in getting more coaches and we also want to introduce other sports like hand ball. It’s an easier sport. We also want to introduce other sports so that they (special need athletes) are able to participate and have more medals and goals if possible,” said Bautista. The Special Olympics in Belize committee would like to extend a heartfelt thanks to individuals, organization and the Government of Belize for their support. Congratulations to our athletes on an excellent performance at the 2015 Special Olympics! Ambergris Caye Starfish Summer Camp is set to go!